If you were going to build the prototype for the ultimate man, wouldn’t it pretty much be 1974 Muhammad Ali? He’s a badass, a fighter with style. I don’t even really like boxing that much but I love to watch him dance around, swinging his fists so fast. Even Bruce Lee liked to watch him. He’s handsome in a manly way. He’s charming, eloquent, and funny as hell. His humor is mostly based around making preposterous boasts… but it’s not some Danny McBride overconfidence thing, because he usually delivers. 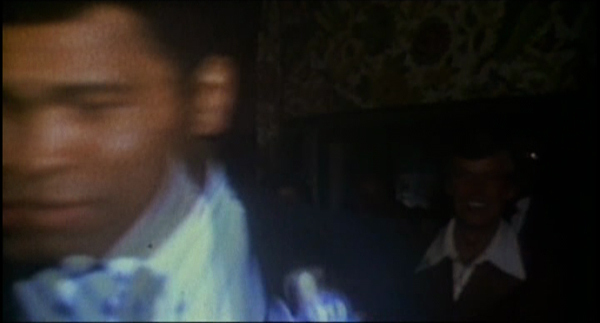 In this movie there’s an interview where he goes into detail about high speed photography and how one of his punches was proven to take only four one hundredths of a second, like a blink or a camera flash, and all this is setup for him to claim “Now, the minute I hit Sonny Liston, all of those people blinked at that moment, that’s why they didn’t see the punch.” A tall tale, but based on a true, provable incident. Of equal importance, Ali has integrity of the Stickin It To The Man variety. He didn’t believe in the war so he refused to sign up for selective service, knowing it would endanger his career, reputation and freedom, and he held his head high the whole time. And he was outspoken about racism too. And he was right. Even in Zaire, where his famous Rumble in the Jungle fight against George Foreman took place that year, Ali was like a super hero. This is the story of that fight and the Zaire 74 three-day music festival, “Bigger than Evel Kneivel and the Kentucky Derby on the same day,” according to Ali. 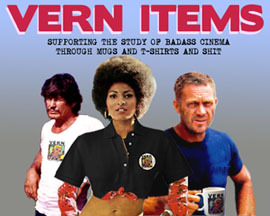 It’s illustrated with beautiful footage directed by Leon Gast (HELLS ANGELS FOREVER) and shot by a gang of great documentarians. I noticed Albert Maysles on the credits as one of five cinematographers, after he’d already directed SALESMAN and GIMME SHELTER. Also Maryse Alberti, who shot CRUMB, THE WRESTLER and will shoot CREED. And Roderick Young, who shot WATTSTAX. The story is then explained through 1996 interviews, mostly Norman Mailer and George Plympton, who were there covering the story, and Ali’s biographer Thomas Hauser. 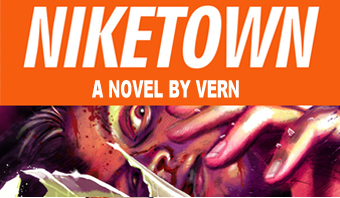 You also got a little Spike Lee, so that it’s not all white guys. You know, Taylor Hackford is credited as co-director, so he must’ve done the contemporary part of the movie, which means we could’ve had Helen Mirren in there I guess. The best interviews are Ali on dirt roads and in hotel rooms, in dirty sweats or sharp polyester shirts, shadowboxing and taunting. Aesthetically I prefer the direct cinema, no interviews, drop-you-right-into-the-experience approach of SOUL POWER, the companion piece about the music festival that they made with leftover footage in 2008. Watch that one to see more James Brown, Bill Withers, B.B. King, the Spinners, The Crusaders, etc. But for this one the more traditional documentary approach works because they edit together alot of historic footage and explain Ali and Foreman’s careers before and after Zaire as well as the specifics of what happened in the fight. Things that benefit from expert testimony. Other than a corny new ballad and a Fugees/Tribe Called Quest/Busta song at the end it’s scored by music from the festival, so it maintains a powerful sense of the time and place. The imagery is incredible, the swagger of these great athletes, the sweaty performances of the musicians, juxtaposed against the African setting. There are great montages, like the one set to the J.B.’s “Funky Good Time” cutting between the performance, soldiers marching, merchants carrying their wears on their heads in baskets. And you just see the Americans coming alive with black pride. One scene has Ali thrilled to be in the cockpit of a plane with a black pilot and crew. Like he never thought of this before. It’s got alot of great dramatic themes going on at once. Of course there’s the underdog story of Ali making a big show out of a fight all the sports writers and commentators think he can’t win. 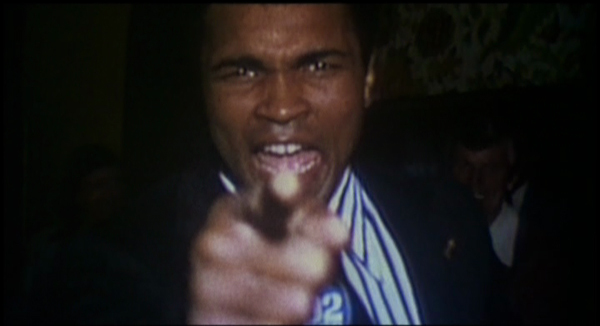 There’s a great clip of him taunting Howard Cosell for saying “very honestly I don’t think he can beat George Foreman.” Ali angrily points his finger and yells into the camera like a wrestling interview. And exactly as he finishes saying it he’s already darting off camera. 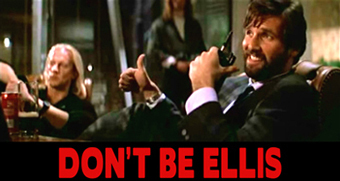 Remember to do that instead of the popular “mic drop” thing, people. Mics are fragile and expensive. Then there’s the visionaries-making-impossible-dreams-come-true aspect of the whole event. The festival organizer and all the struggles he went through are only briefly shown here, you see more of that in SOUL POWER. But we see how Don King – described by Hauser as “quite a remarkable man… one of the brightest people I’ve ever met… one of the most charismatic people I’ve ever met… one of the hardest working people I’ve ever met… also totally amoral. I can’t think of another man who has done more to demoralize fighters, exploit from fighters, and ruin fighters’ careers” – came virtually out of nowhere and built his career by putting together this momentous event. And there’s all kinds of suspense and drama within. Foreman cuts himself above the eye during training, causing a delay so all of them have to stay in Africa for 6 more weeks. Ali almost calls it off. 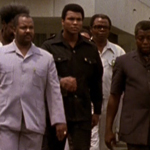 While they stay we see how the people of Zaire rally around Ali, and Foreman can’t understand why. He’s darker skinned, why don’t they relate to him more? Well, because they don’t know who he is, and they already love Ali. Sure, they were both great fighters, but Ali was legendary because he also stood up to the government, to the white man. “For us he was defending the good cause for Africans and the whole world” says interviewee Malik Bowens, an actor who later played President Mobutu Sese Seko in ALI, perhaps based on the strength of his work in DOUBLE TEAM. But probly not, it’s pretty cool I guess. 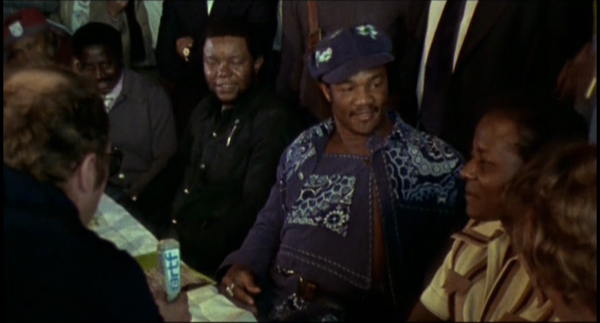 I’m sure Rudy Ray Moore would wear that too, so I’ll allow it. It’s all beautifully put together. Even the rare cheesy part, like the photo montage near the end, is fun to watch, because you get to see photos of Ali with Malcolm X, Elvis, the Beatles, the Jackson 5. One minor complaint: they cut to a weird Miriam Makeba performance as Plympton is telling some story about a succubus. She’s got crazy eyes and is doing a weird breathy thing as part of the song, but let’s not imply through editing that she’s some kind of witch or monster there to curse George Foreman. Oh well. There are all kinds of great little moments. I like the interview with Ali’s mom, because after a minute I realized how much she looked and sounded like him. And I like the still photo that captures Plympton’s mouth agape at the moment that Foreman is falling to the mat. 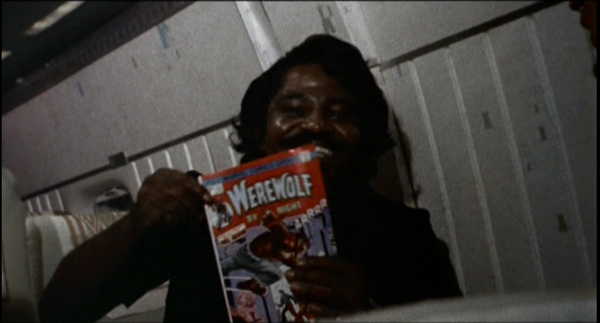 Equally historic, the footage that captures the Godfather of Soul enthusiastically endorsing the Marvel comic book Werewolf By Night. But it’s the bigger picture that makes this movie feel so powerful: the celebration of greatness in sports and music as entertainment and inspiration for the downtrodden of America and Africa. Ali talks about the ol’ “knowledge of self” and not asking white people for anything, and they give an epic example of this by putting this whole thing on with primarily black participants, organizers and financiers. In other words it’s looking back to before slavery – when we were in Africa, when we were the ones in charge, when we were kings and queens – but also it’s looking back from 1996 to 1974, to that time when these black men and women flew to the Motherland as a representation of American black culture, and they were welcomed as heroes, as legends, as kings. Less so for Foreman, I guess. Ali had kids running after him and crowds chanting “Ali bomaye” (kill ‘im) like they’re his army. But all this plays out against a background of turmoil. The beautiful opening credits intercut a Crusaders drum solo with black and white footage of Ali interviews, scuffles between Africans and white colonialists, and the KKK back in the states. And the fight is funded and overseen by Zaire’s Mobutu, who Mailer says “looks the archetype, the epitome of a closet sadist, the sorta guy if you meet him at a bar you think ‘Oh my god, who are the poor women who are associated with this fella? '” He tells a legend about Mobutu allegedly rounding up and killing 100 criminals to terrorize the underworld into behaving while the world spotlight was on the country. He says the floor of the arena had been stained with blood. I guess that’s life, huh? The most beautiful things intermingling with the most sickening, sometimes without knowing it. Hopefully more of the former can lift us out of the latter. The whole event is a miracle, and the movie is too. This entry was posted on Monday, January 19th, 2015 at 1:51 pm	and is filed under Documentary, Reviews, Sport. You can follow any responses to this entry through the RSS 2.0 feed. You can skip to the end and leave a response. Pinging is currently not allowed. This thing was so good it basically rendered Mann’s film redundant. So much to love about this movie. Also, one of the best opening credits of all time. Documentary scenes intertwined with kickass music, black cards with awesome black people and Ali going from shy and humble to “I wrestled with a alligator” attitude in like five scenes. Knew right there it was going to be a special watch. Got to see it in the theaters when it came out in the 90s and loved. Loved seeing the old footage of Ali still in his prime being funny and also the talking heads of guys like George Plimpton and Norman Mailer. Yeah, this is damn good, especially because of the weird suspense of how it makes you feel like the fight-event might not happen, due to all the logistical issues and the injury and the delays, even though you know it’s gonna happen because this is a documentary about a thing that happened. SOUL POWER is more entertaining & more rewatchable/relistenable, but WHEN WE WERE KINGS is the better movie & movie experience, if that makes sense. By the way, I’ve never seen Evel Kneivel in person, but I’ve been to Kentucky Derby; it’s not a big deal. 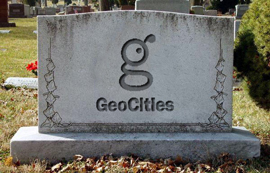 Nice venue, nice town, but… eh. Bunch of rich people hoping to get noticed & photographed for their outfits & funny hats and their being there. Horse racing is stupid. The in-stadium mint juleps are legit, though. It’s pretty easy to make money with tiny [and therefore safe] bets if you just wait til late in the action and put a few dollars on like 4 or 5 of each of the longest-odds underdogs (underhorses?). You’ll lose like $40 over the course of the day unless & until one of your crazy 40-1 beasts makes a move on the homestretch and scores you a $100+ profit on a $3 bet. If you hit 2 surprise winners, hoo boy, that’s a nice feeling. And those mint juleps, mmmmmmm. I’d want to emulate & construct him based on the dna & certain selectively selected characteristics of, for example off the top of my head, Sebastian Junger, Tim Hetherington, Jim Thorpe, Theo Roosevelt, the NCO who told me I needed to achieve mind over matter and thus stop shivering during a brutally chilly December Kuwaiti windstorm that one time, Jackie Robinson, Ernest Hemingway, yeah 1974 Muhammad Ali, Bill Russell, Richard Engel, Congressman John Lewis, Christopher Hitchens, Senator Bernie Sanders, Shaquille O’Neal, Pat Tillman, astronaut Scott Carpenter, and of course the ultimate badass of our current times Malala Yousafzai. These are the people, the kings, Mouth thinks about when he needs inspiration to not be a lazy nothingness. What can I add to Mouth’s amazing commentary? That last paragraph was great, particularly since my own instinct towards “lazy nothingness” can be overpowering at times. I haven’t seen this film since it was first released but this inspires me to watch it again. I walked out of that theater floating on air (oxymoron?). And this is despite having a great antipathy towards Ali. Ironic, since my political beliefs more or less align with his. I thought he was a cheeseball, bully and loudmouth. I related a lot more to the “keep your mouth shut, roll up your sleeves and get to work” ethos of many of his opponents. That seemed a lot more manly and blue collar. Not to mention his relatively comfortable upbringing compared to Liston, Foreman, Quarry and (especially) Frazier. Nonetheless, he backed up everything, fought everyone, and proved every criticism of him dead wrong. Can you believe they said this guy couldn’t take a punch? He certainly deserves to be not only universally respected, but universally beloved. Even assholes who would be white with rage at him if they lived 40 years ago sing his praises. I hear you on Frazier, AR. Philly is (FINALLY) putting a nice bronze statue up of him later this year. Great review, great documentary, inspirational man and moment in sports history. While I’m proud to proclaim I’ve progressed from Lazy Nothingness to Diligent Time-Waster, I’m often frustrated by the state of my mind that relates to the plight of the black American who remembers the time When We Were Kings. I’m also one quarter cheeseball since I love the cheesy theme song in this. It gives me goosebumps. But, just as this entire movie inspired me to be inspired more often, alas, goosebumps, like motivation, last but a moment. And while my arena of combat may not be a boxing ring, I’m forced to ask myself, when was I a king? When did I forfeit my crown? And how do I reclaim it? Am I so reliant on domestic stability that I have stopped pursuing fulfilling, creative battles? Why is my soap-on-a-rope more comforting than the thought of busting out a new rope-a-dope? Yes, these, and many more questions, are found in the cracked mind of an individual like me. If you liked this I’d strongly recommend Facing Ali, a documentary composed of interviews with a bunch of his opponents including Holmes, Foreman, Frazier, Norton, Shavers. 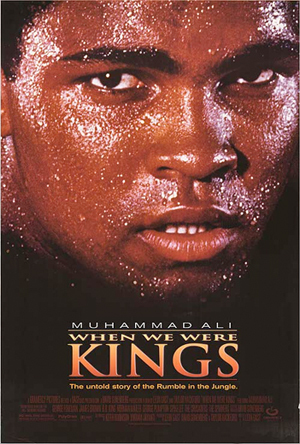 It’s low key compared with ‘When we were Kings’ but its beautifully shot and the interview content provides amazing insight into Ali and to boxers in general. Its really moving in places too, deserves more recognition! Totorito – ha, I thought feathers was weird. Don King just has a bigger vocabulary than me, so I didn’t know that one. He also quotes Shakespeare a bunch. This and Roger and Me were the first theatrical documentaries I had ever seen, and they both really got me into the genre. It’s bee a long time since I’ve seen either of them. I remember thinking at one time that When We Were Kings might be one of the best sports movies of all time, but it’s overlooked because it’s a documentary. 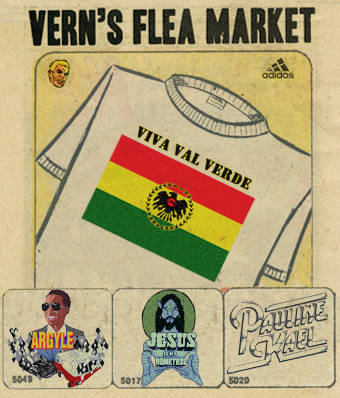 I’m a long time Vern fan and lurker here, very much interested in the debate but often feeling like I don’t have a huge amount to add to it (the exception would be the paragraphs I typed out about my love for ‘NOAH’ which somehow never made it, dodgy internet connection maybe). However it would be remiss of me not to recommend ‘KING OF THE WORLD’, David Remnick’s incredible Ali biography, for anyone interested in learning a little more. Largely chronicling the relatively short time period between 1960 and 1966 and dealing almost as much with the stories of Floyd Paterson and Sonny Liston this book shines a light on the bigotry, racial tension and islamaphobia which is sadly so relevant still today. I’d never actually seen this and Vern’s review has made me finally get around to it, and I just had to say, how awful is that Brian McKnight song? It’s like so, so, so bad, and made even worse because of all the great contemporary music throughout the film at the end. If someone could edit in that R Kelly song from the michael Mann biopic over it instead… Quite liked that Fugee/ Busta Rhymes song though. One thing I thought I wasn’t going to like was mixing in a handful of modern day interviews with the vintage footage. Actually it worked out great – just listening to Mailer and Plymton describe things was incredible (and obviously Spike Lee is always interesting). A lot of the best sports docs are really good at explaining the social/ cultural/ personal stories around it – the sort of thing that people mean when they say “Oh you don’t have to even like boxing/ football/ motor racing etc to enjoy it”. But Mailer explaining the fight at length towards the end was one of the very best explanations of a great sporting event, and what made it great, and it was so enjoyable to listen to.